Don’t be alone! Discover the power of bipolar support groups. Group support is an important part of bipolar treatment, either in a residential setting, as an out patient or self organized by mental health consumers. Support groups can be a valuable add-on to your bipolar medication and provide a vital safety net. 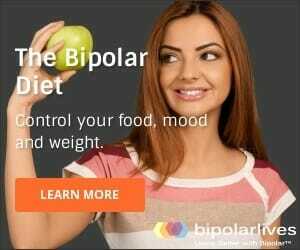 Research proves that people living with bipolar disorder greatly benefit from this form of bipolar therapy. DBSA and other bipolar groups are free, confidential and informed. Or find a recovery oriented group if you have a dual diagnosis. When my psychiatrist first suggested I join a support group, I was horrified! I could not think of anything I wanted to do less. I was painfully sensitive to being stereotyped or stigmatized. Also, I was skeptical about learning anything or gaining any real support. I imagined a group of fat, bald, doped up zombies, or, best case scenario – a scene from One Flew Over the Cuckoo’s Nest. Crazy huh? I could not have been more wrong! Joining a support group is one of the best things I have ever done for myself. Now I look forward to my meeting all week. Ok- I know these groups are not for everyone. However, I have experienced this journey myself, and I have felt that initial resistance. Please consider giving it a try. Research proves that support groups can aid recovery. 1. Improvement in bipolar symptoms and fewer hospitalizations. 2. Larger social support networks. 3. Enhanced self-esteem and social functioning. 4. Decrease in the length of people’s hospital stays. 5. Lower services costs overall. According to a five-year, SAMHSA-funded study that compared participants in group support to those receiving traditional services, those in support groups showed greater improvement in well-being (including recovery, social inclusion, empowerment, quality of life, meaning of life and hope). This recent DBSA report on bipolar group support describes how much support groups can help, and offers evidence that peer support can be effective, and help reduce bipolar symptoms. What bipolar support groups exist? Don’t like your local DBSA group? Try NAMI or Recovery. Find the right fit for YOU. There are a few different styles of group available. 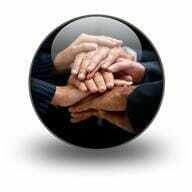 A group may be a self-help group, or may be facilitated by a professional clinician. Another difference is that some groups are patient focused and some groups are family-focused. The first group I belonged to was facilitated by very skilled psychologists at my local university. However, I eventually changed groups because I wanted a group with a specific bipolar focus. Now I attend my local DBSA group and I love it. A great thing about practically all such groups is that they are FREE! This is an incredible blessing given the high cost of therapy. Note that you will still need a doctor or psychiatrist though. Medication is essential for most bipolar people, and should only be obtained under the care of an expert physician. A good place to start is at your nearest Depression and Bipolar Support (DBSA) local group. The DBSA bipolar support groups are volunteer run and provide self-help through peer facilitated meetings. They are not group therapy, however, they usually have professional advisors from the community (for example a psychiatrist, psychologist, nurse or social worker). 1st meeting of the month we invite a speaker to further educate us about our mood disorders. 2nd meeting of the month is a general discussion session of concerns generated by the group. 3rd meeting of the month is our <i>Tools for Recovery</i> night, which is a topic oriented peer-to-peer education session. 4th meeting of the month we divide into 2 groups; one group consists of consumers/patients, and the other group is for family members & friends. 5th meeting of the month (not often) is a more social evening, following a “show and tell” format. Each local group may do things a little differently but all DBSA groups will offer a high level of sharing and caring and bipolar group support to help you stay well. NAMI (the National Alliance on Mental Illness) is the nation’s largest grassroots mental health organization. They are not my first choice for bipolar group support, simply because they cover a broader range of mental health issues and this site focuses on bipolar. However, NAMI groups are excellent and well worth trying, especially if you are interested in a more family-focused approach. Recovery, Inc. is a self-help mental health program based on the work of pioneering physician Abraham A. Low, M.D. Founded in 1937, this is one of the oldest self-help groups in the world. In terms of bipolar group support, Recovery offers many simple yet practical coping techniques. To gain inner peace, members learn how to change the way they react to the people and situations they have no control over. Members also learn how to identify and manage negative thoughts, feelings, beliefs, and behaviors that can lead to emotional distress and stress related physical symptoms. The techniques are learned through regular attendance at meetings, studying the Recovery literature, and daily practice. The only drawback to Recovery is that there are not bipolar support groups in every area and it can be difficult to find a local group. 1. Connection and friendship with others who can relate to your situation. 2. An outlet where you can vent in a way you may not want to do at home. 3. Libraries of books and videos on bipolar and other mood disorders. 4. Access to expert guest speakers. 5. Information on medication, therapies, legal rights, bipolar symptoms, and local services and clinicians. I am dating someone seriously and would like to help her cope with life. So that I may understand and keep her part of my life. How can you make life worth living if all one can think about is ending it. They say don’t drink don’t smoke weed take your med go to work and still its what’s the point. You can’t make life worth living if their is nothing to live for.